In Colorado, several insects commonly infest home stored foods such as grains, flours, nuts, spices and herbs. Serious damage can happen to the food if an infestation takes place and may need to be discarded. Although they pose little to no health hazards, some people can be allergic to them. In Colorado, the Indian Meal Moth is the most common pantry pest. Flies and Gnats are also annoying in Colorado and are very nasty. They carry a full range of diseases, and move from filth to food indiscriminately. Nobody likes these pantry pest or others, however Why-U-Buggin Pest Control can make sure your food is safe to eat at all times. 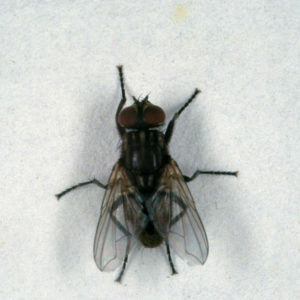 House Flies are associated with many filth-related diseases and, thus are of significant health concerns. House flies have a regular diet consisting of liquids, excrement and Human food which they liquefy with their regurgitated digested fluids, and they usually stay within two miles of their breeding site but can migrate up to twenty miles away. Drain Flies are aquatic, and breathe with a stalk-like tube near the end of their bodies; they are very petite, delicate, and hairy. They are weak fliers usually found in great numbers on walls. 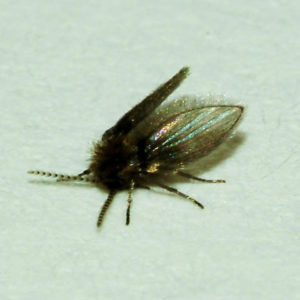 Drain flies breed in liquids found in drains, garbage cans and septic tanks where they reproduce in large quantities. These flies can become very annoying. 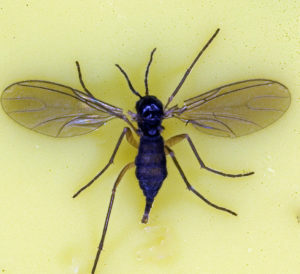 Fungus gnats breed in various settings such as rotting wood or animal waste, under bark, in over-watered plants and their saucers, and its atrium. They feed on fungi and organic matter growing in the soil and can pass through a regular structured screen. Adult gnats are very active at night and are found near breeding sites. During the day they prefer dark, moist places to rest. 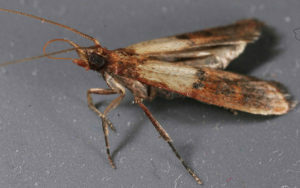 Indian Meal Moths are very troublesome pantry invaders, and are the number one pantry invader in Colorado. They have a wide range of foods they desire ranging from grains, nuts, chocolate, and even red peppers. Indian Meal Moths produce a silk webbing containing large amounts of their own feces, over the surface of the materials upon which they feed.